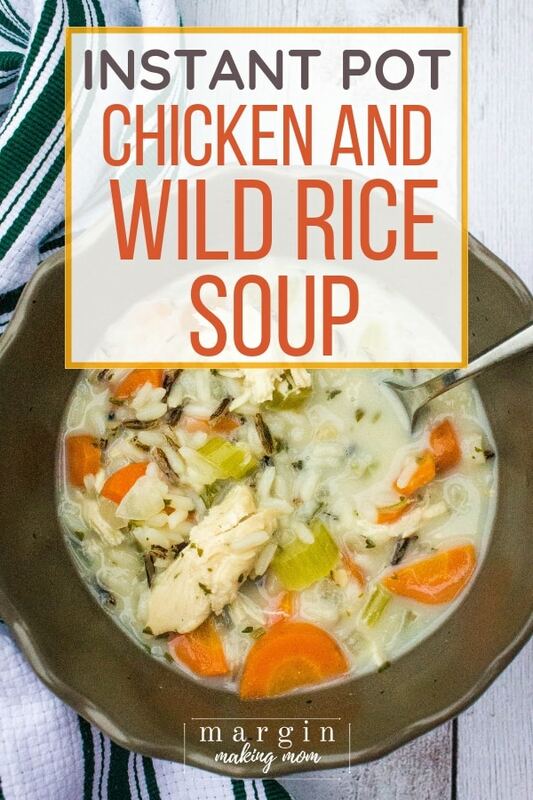 Making Instant Pot chicken and wild rice soup in the pressure cooker is a quick and easy way to make the creamy, hearty and comforting soup you crave! 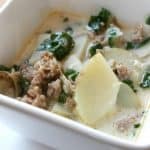 By now, you probably know that Olive Garden soups have long been a favorite of mine (with salad and breadsticks, of course), which is why I had to learn how to make Instant Pot versions of zuppa toscana and pasta e fagioli at home! Another favorite restaurant I enjoy ordering soup from is Panera. Specifically, I love their chicken and wild rice soup. It’s oh-so-creamy and I love to enjoy it alongside a crusty baguette. But alas, it’s not in my budget to regularly eat at Panera, and their chicken and wild rice soup is also over 300 calories per serving. 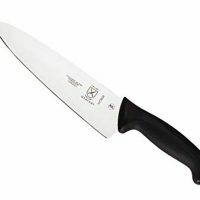 Now, that’s certainly not terrible, especially for restaurant food, but I thought I could probably lighten it up a bit. Not only that, but the restaurant version has over 1400 mg of sodium in one serving, which is A LOT. 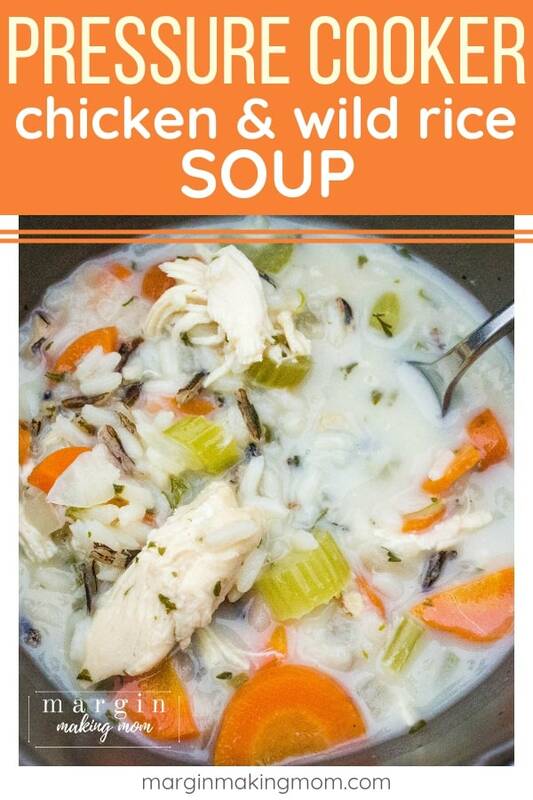 So I decided to make my own better-for-you version of chicken and wild rice soup at home, and the result is nothing short of delicious! First of all, this recipe truly is easy. 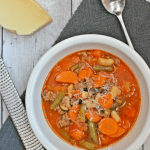 You just throw some ingredients into the Instant Pot and start cooking. Easy peasy. Next, it’s a healthier alternative to canned soups and restaurant soups! 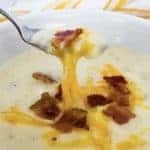 It’s still delicious and creamy and so good, but without the guilt. Plus, it’s a relatively inexpensive and frugal meal you can make to feed your family well! 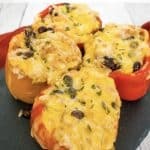 Serve it with some Instant Pot dinner rolls and you’re set! 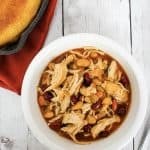 Check out these other cheap and easy Instant Pot recipes for dinner! 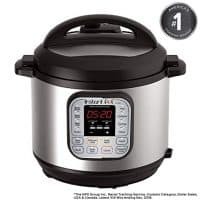 First, you’ll start by adding some diced onion, sliced celery, and sliced carrots to the insert pot of your Instant Pot. Next, add in your cut chicken breast, some broth, water, and the wild rice and seasoning mix. Give all of that a good stir, then twist the lid into place. Set the vent to the sealed position and select a 4 minute cook time at high pressure, using the Manual/Pressure Cook button. After the cook time has completed, allow a natural release of pressure. Then, once the pressure has released, carefully remove the lid and pull out the chicken pieces and set aside. Next, create a slurry of milk and flour, then pour that into the soup and stir. Allow it to warm through and thicken just slightly while you shred or chop the chicken. Return the chicken to the pot and stir everything to combine. Add salt and pepper to taste, and voila! 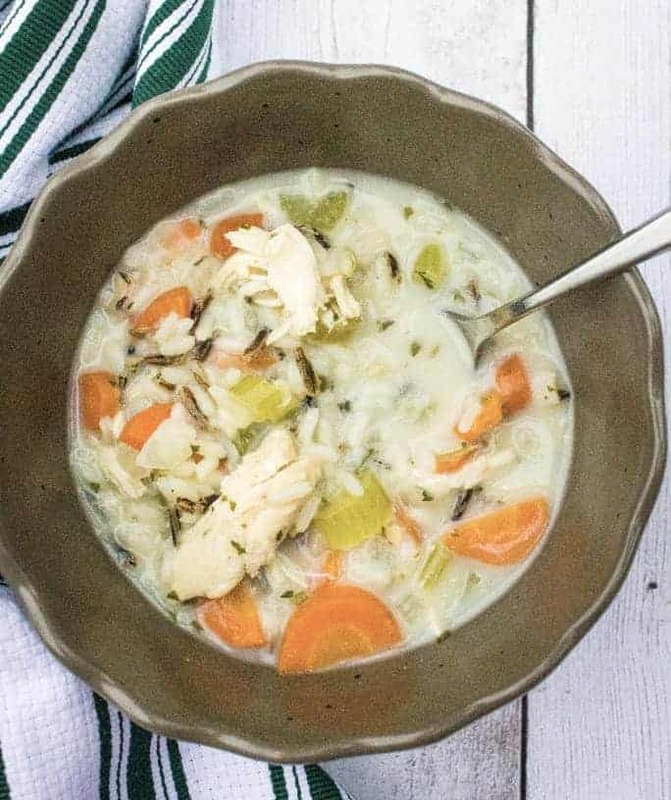 You have delicious, hearty chicken and wild rice soup you can feel good about! I used Uncle Ben’s Original Long Grain and Wild Rice mix for this recipe, because that’s what I’m most familiar with. However, feel free to use a different brand if you prefer. You may need to tweak the seasonings a little bit to taste after cooking. 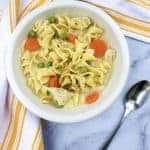 This soup is freezer-friendly! After cooking, just transfer the soup to a freezer-safe container and allow it to cool completely before freezing. 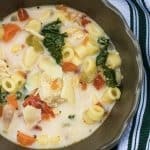 If you are dairy-free, you can skip the milk and flour slurry entirely or you could try adding in a bit of canned coconut milk as a substitution. I have not tried making this with a frozen chicken breast. I used a thawed chicken breast because its cook time matches that of the rice more closely. If you want to use frozen chicken, I think you could try it with frozen tenders and a cook time of 5 or 6 minutes, but I have not personally tested it this way. 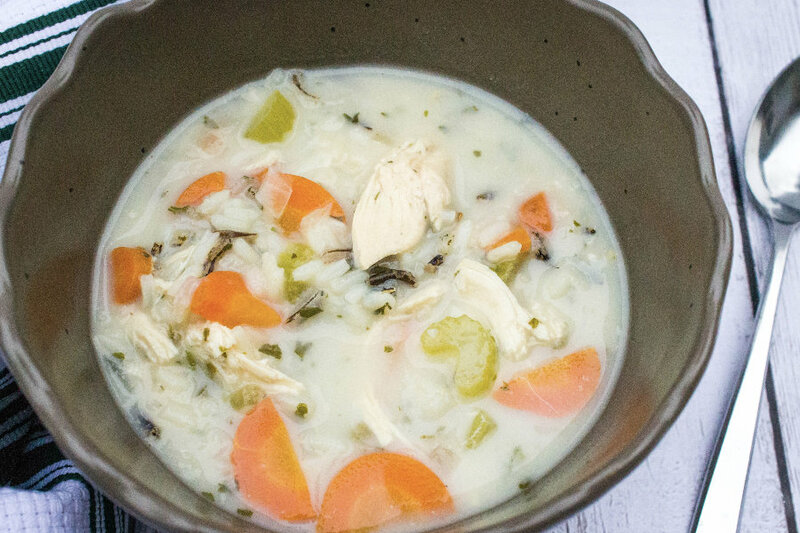 Making chicken and wild rice soup in the Instant Pot pressure cooker is a quick and easy way to create the creamy, hearty and comforting soup you crave! In the insert pot of an Instant Pot, add onions, celery, and carrots. Add the chicken pieces, chicken broth, and water. Pour in the rice and seasoning mix, then stir to combine. Twist the lid into place and set the vent to the sealed position. Using the Manual/Pressure Cook setting, select a 4 minute cook time at high pressure. After the cook time is complete, allow a natural release of pressure. Once the pressure has released and the valve has dropped, carefully open the lid. 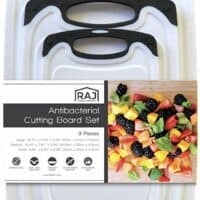 Remove the three chicken pieces to a cutting board. Whisk together the milk and flour to form a slurry. While the soup is still hot, stir the slurry into the soup and allow it to thicken slightly for a few minutes (the soup will not get really thick--this just adds a bit of creaminess to the soup and thickens it just a bit). Meanwhile, shred or chop the chicken as desired and add back into the insert pot, stirring to combine. I used Uncle Ben's Original Long Grain and Wild Rice mix for this recipe, because that's what I'm most familiar with. However, feel free to use a different brand if you prefer. You may need to tweak the seasonings a little bit to taste after cooking. 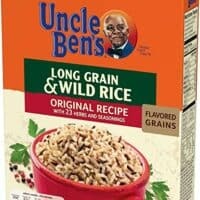 UNCLE BEN'S Flavored Grains: Long Grain & Wild, 6oz. Yum! It’s perfect to warm up from the cold weather without being too heavy on the tummy. I have a question, hope you don’t mind. Why did you choose wild rice as opposed to other types? Does it hold better?